On the heels of our successful Kickstarter project, we wanted to thank everyone and have a sale. This is a limited time only, so get them while you can. Sale is from now until Saturday November 1st, 2014. 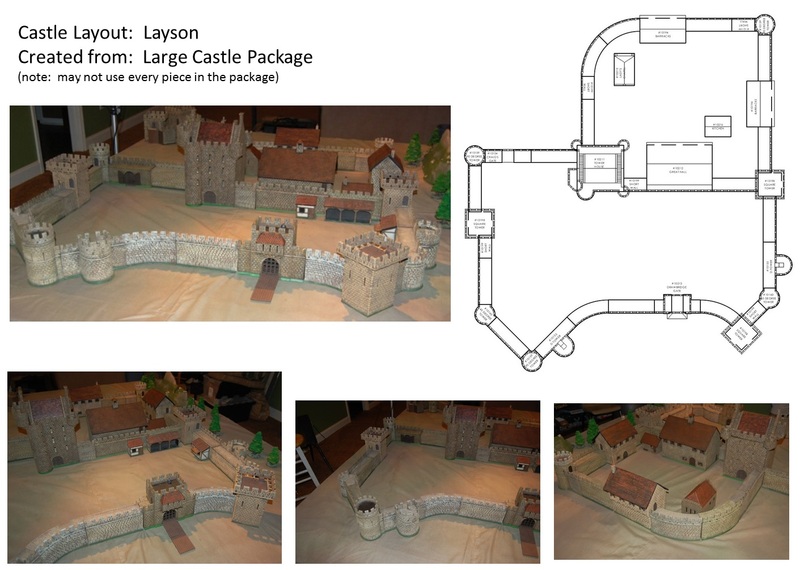 The Atlanta Business Chronicle wrote an article about our Castle Kickstarter! We were recognized by the local business paper here in Atlanta, That was a nice surprise! The company had originally hoped to raise only $30,000. Its raising of $142,000 makes it one of the more highly funded Kickstarter campaigns from Georgia this year. Thanks for the mention, we really do appreciate it! Categories: Kick Starter, News | Tags: atlanta business chronicle, castle kickstarter, kick starter, kickstarter, successful | Permalink. The MBA Castle KickStarter coming to an end here very soon. I pulled out our castle pieces and made some fun layouts. Not trying to use all of the pieces this time, but trying to make some interesting layouts. This is what I came up with and hope to see yours when your KickStarter pieces arrive. Thanks again to Eric at Break from Reality Games for the Grip Matt. I like this grass printed one. 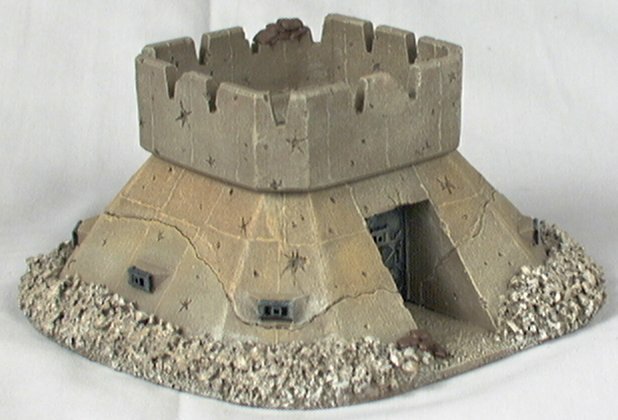 Just does need to be a bit larger for a castle layout. 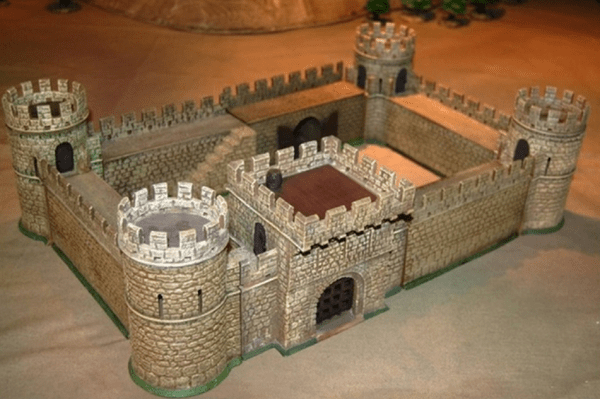 Categories: Kick Starter, New Products | Tags: castle, castle kickstarter, kickstarter, layouts | Permalink. 2 1/2 Days left!! MBA Castle Kickstarter coming to a close with a bang! Only 2 1/2 days left to get in on the big success story of the Miniature Building Authority Castle Kickstarter project. We have already broken our initial goal by four times, and have some great awards already in place for our premium backers. Yesterday we broke the $120,000 stretch goal. Now each premium and super premium backers will each get the laundry maiden figure with tub and a fighting dummy to help train your knights. (Super Premium backers we will paint the fighting dummy for you) Also, the kitchen has been unlocked. We have also added a new Stretch Goal of $130,000. 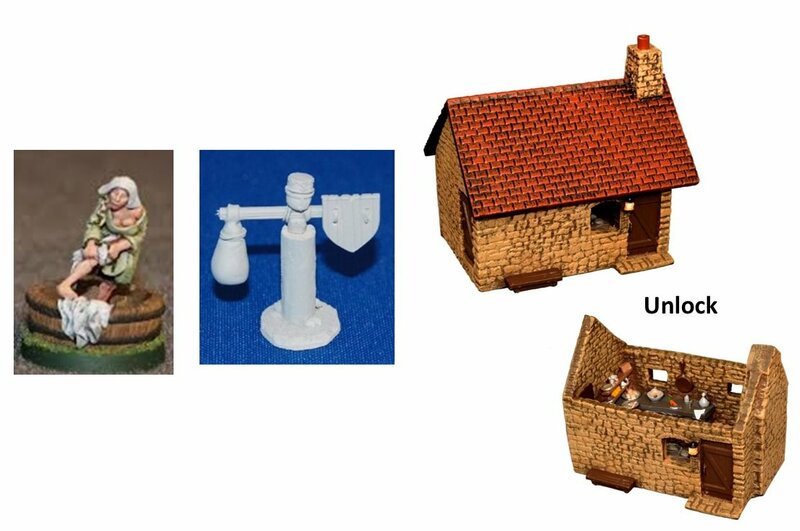 When this goal is met each premium backer and super premium backer will get the Lady and Hand Maiden figure set (unpainted) ($12.95 value) and a 2nd Archery Target and a 2nd Fighting Dummy (unpainted for premium backers and painted for super premium backers). Thanks for everyones support making this a huge success. Categories: Kick Starter, News | Tags: castle, castle kickstarter, kickstarter, stretch goals, unlocked | Permalink. Final 10 days! Let’s ratchet it up! Premium backers can upgrade their Archery Targets, Fighting Dummies, Castle Wells, and Lean To’s to painted ones for a small fee (Archery Targets/Fighting Dummies $3.50 additional fee per piece and $4.50 for the Wells, and Lean Tos painted per piece). All backers can add painted ones to their pledge by adding the cost of the individual piece and the $3.50 or $4.50 painting fees to their pledge levels. Additionally, we are unlocking three new pieces that are now available as add-ons. First is the re-issue of the Corner Turret House. This is a great piece that has been out of production for around 3 years. Additionally we are unlocking the Dungeon and the Torture Chamber Equipment add-ons. So we have lots of great news for everyone. Thank you again to all of our backers. We appreciate you and thank you for the feedback. Categories: Kick Starter, News | Tags: castle kickstarter, kickstarter, stretch goals | Permalink. Let’s get things going. We have added to the next stretch goal. Now you get not one item, but two items, and an unlock. All premium level backers and backers who have the small castle packages will get an exclusive Kickstarter MBA figure, the laundry maiden includes tub. This item is unpainted. This is a $9.95 value. You will also receive the Fighting Dummy too. Comes unpainted and is a $6.95 value. And…the 10216 Kitchen unlocks for purchase. The kitchen has a completely detailed interior too. Three items for one stretch goal! Categories: Kick Starter, News | Tags: castle kickstarter, kickstarter, stretchgoals, unlock | Permalink.